I've been sitting on this news for awhile now—it's taken all the willpower I possess to not blurt this out to someone. 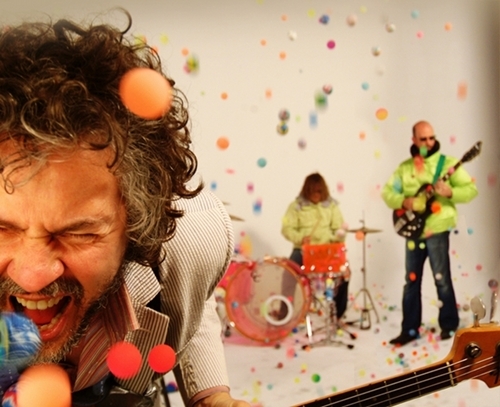 But last night we made it official: The Flaming Lips and Neko Case are going to be headlining this year's edition of the Nelsonville Music Festival from May 13-15. Country music legend George Jones will also be playing on Friday night. It's arguably the most exciting set of headliners this festival has ever played host to. Over 30 more bands will be added to the line-up over the course of the coming months—a mix of local and national acts which will convene in one of the best festival settings I've ever experienced. For an idea of just how awesome this event is, read my review of last year's festival. Tickets go on sale this Monday, at an extremely reasonable price considering the acts announced thus far. Bottom line, even if you're not from around the area, this may be worth a trip to little old Nelsonville, OH. I'll be posting more on line-up confirmations as that news rolls in.